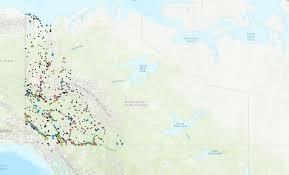 The Government of Yukon Territory recently posted an online map that shows all known contaminated sites in the Territory. To access the contamination history of properties in the territory, one can visit the online map. This information was previously only available to the public on request. Properties considered contaminated and included in the map are ones that have the confirmed presence of substances such as petroleum hydrocarbons and metals above specific concentrations. The Government of Yukon claims that many contaminated locations pose no risk to the public. However, in an effort to be transparent, it has created the online map. The map is based on information the Government of Yukon receives and maintains. 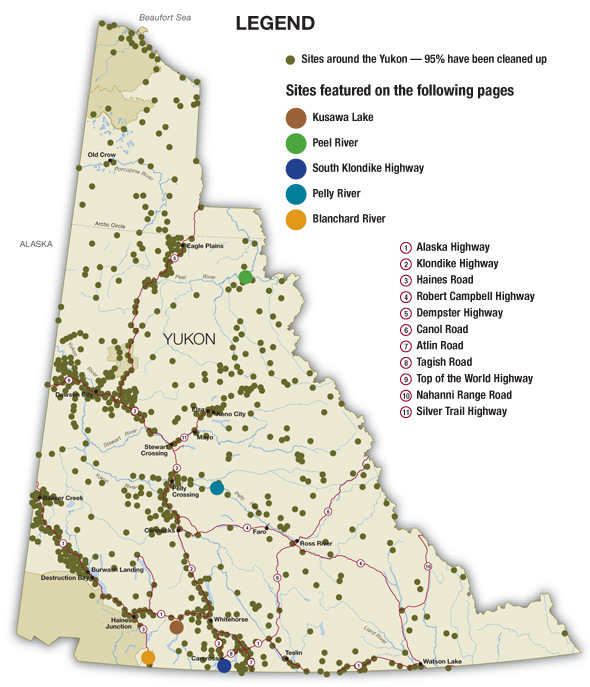 There are approximately 529 sites recorded by the Government of Yukon on the contaminated sites map. Of these sites 207 are considered contaminated, 151 are unknown and 171 are remediated. The federal government has a searchable federal contaminated sites inventory. The Federal Contaminated Sites Inventory includes information on all known federal contaminated sites under the custodianship of departments, agencies and consolidated Crown corporations as well as those that are being or have been investigated to determine whether they have contamination arising from past use that could pose a risk to human health or the environment. The inventory also includes non-federal contaminated sites for which the Government of Canada has accepted some or all financial responsibility. It does not include sites where contamination has been caused by, and which are under the control of, enterprise Crown corporations, private individuals, firms or other levels of government. According to information compiled by Ecosense in 2018, contaminated site registry systems are in place in 76% of provinces and territories within Canada. This may include contaminated sites that are apart of a stand alone or another property listing system. 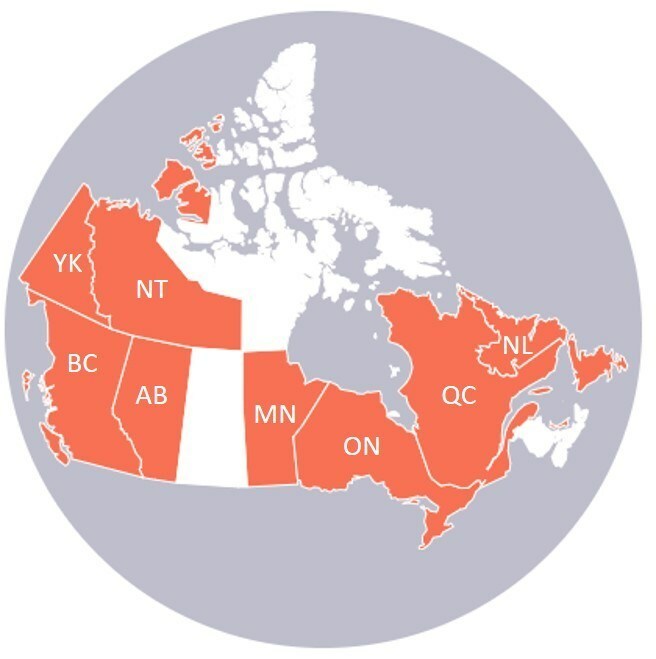 Provinces and territories that have a registry include: Alberta, British Columbia, Manitoba, Yukon, Quebec, Ontario, North-West Territories, Newfoundland, and Prince Edward Island. However, the degree of information shared within these listings vary extensively. For example, Ontario’s database includes records of site condition (RSC) which entails detailed information of the type of contaminants at a site, contaminant concentrations, as well as information on the phases of environmental site assessments (ESA) completed, the date of site closure and company involved (PIRI, 2014). In contrast, Manitoba’s database provides only a file number, company name, city and address on an impacted sites list. No details of a site’s contamination levels, information concerning the degree of contamination or site remedial status is provided (PIRI, 2014). 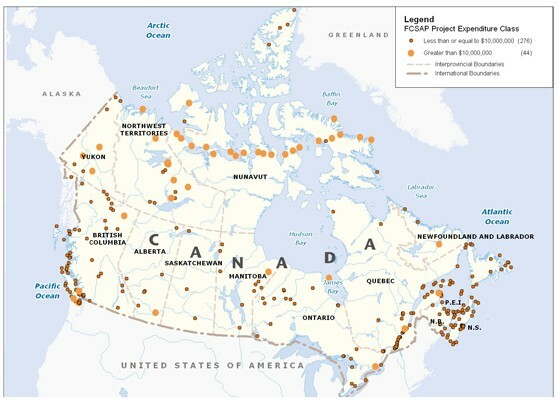 Provinces within Canada that provide and inventory on contaminated sites that is available for public access include from west to east: Yukon (YK), British Columbia (BC), North West Territories (NT), Alberta (AB), Manitoba (MN), Ontario (ON, Quebec (QC), Prince Edward Island (PEI) and Newfoundland and Labrador (NL). In addition, more than half (58%) of the provinces in Canada record contamination over the area of a property (based on property specifics) versus recording contamination over an area (area wide). Contamination doesn’t tend to stick to the boundaries of property lines, therefore inventories that record entries based on property specifics will not accurately represent the breadth or extent of contamination within a given area (PIRI, 2014). Provinces that record area-wide contamination are BC, NT, and NB. Many registries also do not include site information that track the process of assessment or cleanup. AB (only if submitted to the department), BC, YK, QC, and NB keep track of site progress.